A few years ago I was walking in Broxa Forest when I became aware of a strange low bubbling, turring sound. For a minute I just couldn’t place it – perhaps a frog? Then it clicked – I hadn’t heard it for years but it had once been so familiar to me. I went home and looked up some facts and figures and was horrified (though not entirely surprised) to learn of the drastic fall in numbers of a bird that was once so well known (and still is widely known by name if only through the 12 Days of Christmas). So when I heard about the Turtle Dove Project I was immediately keen to get involved. OK, so getting up at 3am to be in the forest ready to start a survey at dawn is somewhat daunting, and I even felt a bit nervous at the thought of walking through the forest in semi-darkness. But once up it is a truly magical time to be out there. I’ve had close encounters with badgers, deer, hares and much other wildlife. On my very first survey I was nearing the end, almost resigned to a negative result, when I approached a clearing and before I could see through the trees I heard that unique sound. It turned out to be 3 singing males. I really had to stop myself shrieking with delight! Since then I’ve had less luck, but the memory of that moment has helped to maintain my feeling of anticipation. It has also been really encouraging to know that the data from that first survey has already been used to target conservation measures on local farms. Perhaps in a few more years encounters with these iconic birds will become more common. Our North Yorkshire Turtle Dove Project surveys start again in May. We will be holding two meetings this spring to explain the surveys and to allow volunteers to meet up. One meeting will be in the Dalby Forest Courtyard Building (YO18 7LT) on 24 April at 7 pm and the second at the Yorkshire Arboretum (YO60 7BY) in the Howardian Hills on 2 May, again at 7 pm. If you’d like to get involved please come along or alternatively email Richard Baines, Turtle Dove Project Officer. Last year the Land of Iron commissioned an eco-hydrological assessment of Fen Bog(s) by consultants (Sheffield Wetland Ecologists). An eco-hydrological assessment examines the workings of a water system and its wider ecosystems. Sunday was International Bog Day so to celebrate the complexity and variety of bogs – here is a very very simplified overview of that assessment. Any misunderstanding or misinterpretation is all mine. 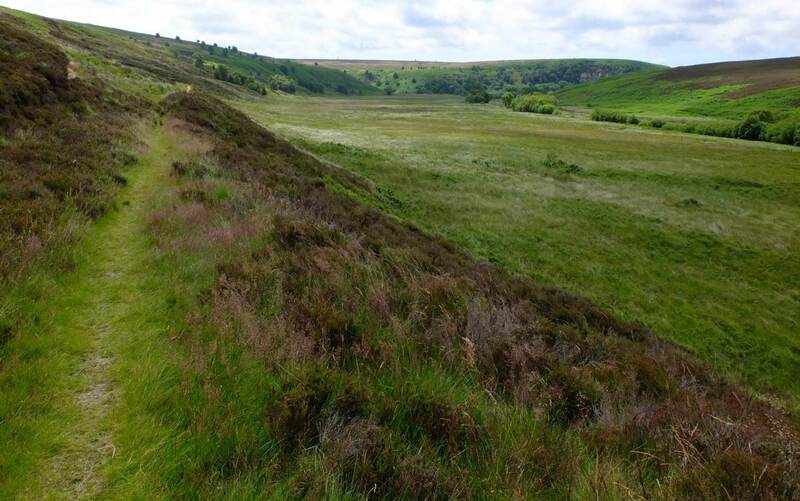 Fen Bog(s) is at the top end of the Newtondale glacial channel in the east of the North York Moors. It’s part of the Newtondale Site of Special Scientific Interest (SSSI) and the majority of it is also designated as a Special Area of Conservation (SAC). 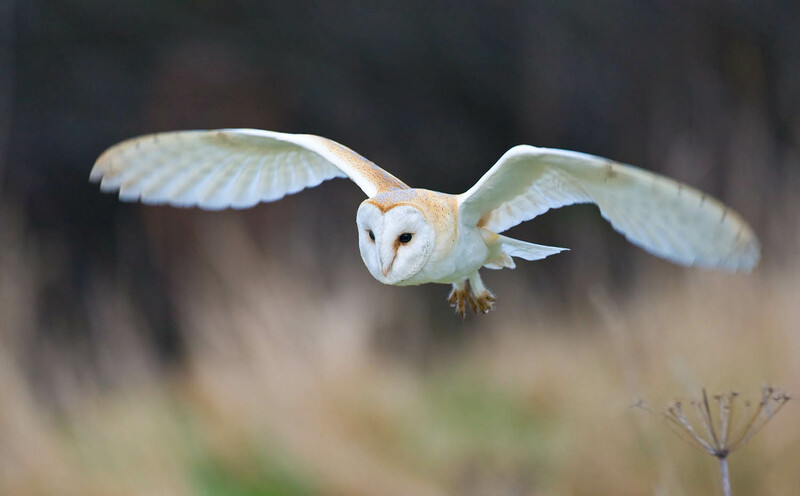 Most of the site is a Yorkshire Wildlife Trust nature reserve, other parts are owned by the National Park Authority, the North Yorkshire Moors Railway and the Duchy of Lancaster. Fen Bog(s) is a large peatland/wetland site, and according to the report “is of exceptional biological, palaeo-ecological and telmatological (to do with bogs) interest, especially as there are no comparable examples in the region or, indeed, in most of England”. The bog happens to be within the boundary of the Land of Iron Landscape Partnership Scheme. 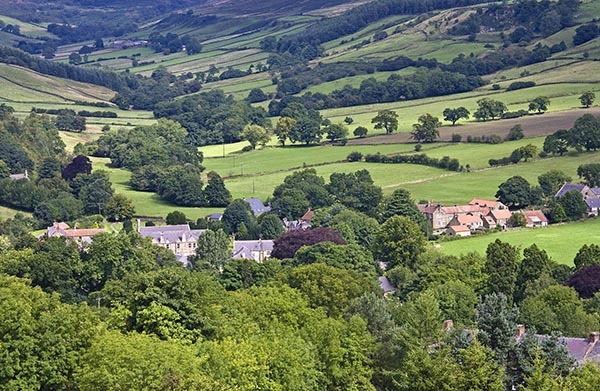 The scheme focuses on the landscape area impacted on by the short but intense period of ironstone mining and railway development in the North York Moors. 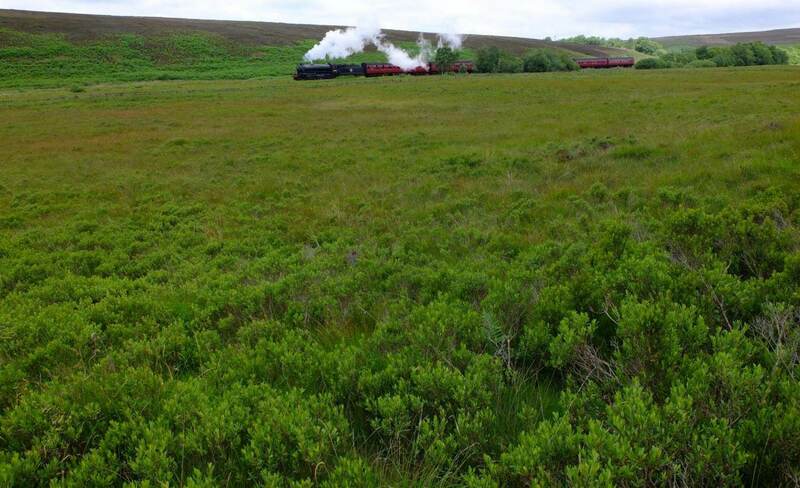 Intriguingly part of the Fen Bog(s) site has been subject to long-term modification since the Whitby–Pickering Railway line (now belonging to the North Yorkshire Moors Railway) was built alongside/across the site. The Partnership commissioned the report in order to get an holistic assessment of the existing data (of which there is a lot), and to identify the gaps and address these through additional field investigations, with the aim of increasing the understanding of the eco-hydrological functioning of Fen Bog(s) in order to help inform future management decisions. This management needs to conserve and restore its environmental value as well as allowing the continued functioning of the railway. The Whitby & Pickering Railway was first opened in 1837, as a single-track, horse-drawn enterprise carrying freight between the two towns. Newtondale connects through the central moorland which largely separates the north and south of the North York Moros. Soon after the line was doubled and substantially rebuilt for steam propelled haulage with services starting in 1847. Benham (An Illustrated History of the North Yorkshire Moors Railway, 2008) explains that Fen Bog(s) proved a “major headache” for the railway builders and that “Stephenson resorted to the same technique employed at Chat Moss when building the Liverpool & Manchester Railway. 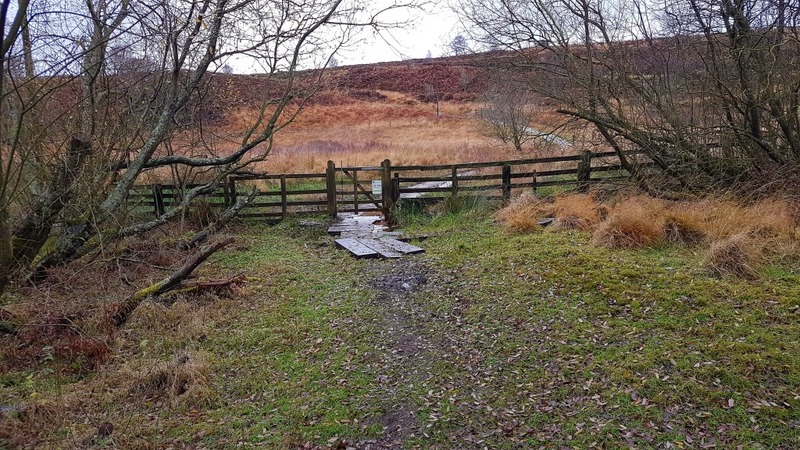 This involved stabilising the land by ‘pile-driving’ fir trees into the bog and overlaying them with sheaves of heather bound in sheep skin, together with more timber and moss.” In addition deep drains were dug alongside the railway through the mire to try and keep water off the track. The extensive drainage has tilted parts of the bog. It has also been suggested that it meant the bog turned from a topogenous system (source water mainly from the land) to an ombrogenous one (source water mainly from precipitation) – but the report considers this is unlikely. The railway’s embankments and sidings were built and maintained using railway ash, basic slag, limestone and basalt – all base rich materials imported onto the site which still have an impact. The summit of the railway is a short distance north of Fen Bog(s), near the former location of the ‘Goathland Summit’ signal box. South of this the railway track skirts the western edge of the wetland, it is built mostly along the steeply-sloping edge so that its upslope side is on mineral ground or shallow peat whilst the mire side is over deeper peat. The railway line has therefore partly obliterated, truncated and drained much of the western edge of Fen Bog(s). Towards the southern end of Fen Bog(s), the glacial channel curves west and the railway here crosses the bog to the other side of the channel, thereby cutting across and separating parts of the Bog(s). Peatlands are strongly influenced by hydrology, chemistry, and vegetation. The Fen Bog(s) report considers the hydrogeology including stratigraphy, surface profiles, and solid, wetland, and superficial (recent) deposits. It also investigates the water supply in and the drainage out. All the different water features on the site are mapped – as pool, spring or seepage, stream/ditch with visible flow, water flow track, water filled ditch with no visible flow, damp channel, or seasonally wet channel. The main artificial drainage is associated with the railway including the drains on either side of the line, but there is also other historic drainage at the south end of Fen Bog(s) which was done to improve the land for agriculture. Hydrochemical measurements were taken as part of the assessment to establish the current pH and also the electrical conductivity of the water at different points. There is a lot of variation across the site. It has been suggested that high pH readings i.e. alkaline are caused by leeching slag used in the construction of the railway track. Measurements from the recent assessment suggest that in terms of chemistry any effects of the trackway on the Bog(s) is either historic or localised. Because of the mix of chemistry Fen Bog(s) is classed as a Transition mire and this is reflected in its mix of vegetation (see below). The transition can be geographical or successional, or both. 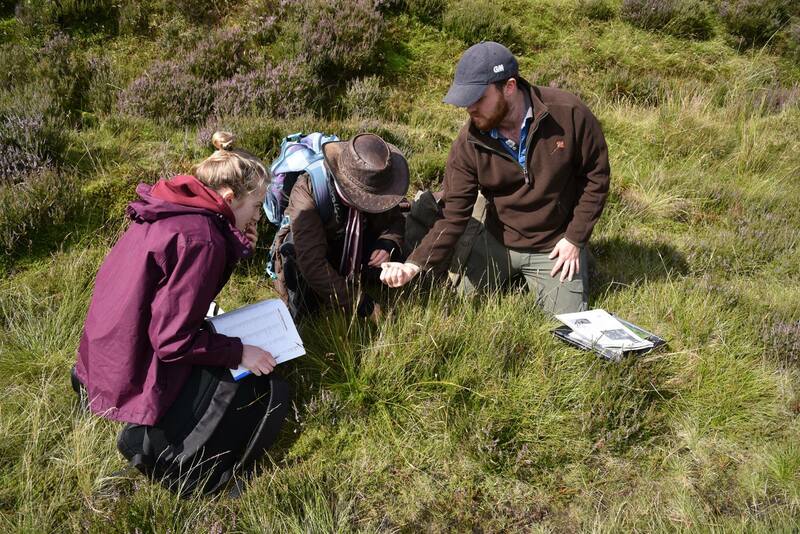 There are a series of historic water table measurements at two specific points, from the 1970s to 1990s – one in ‘wet’ bog, rich in sphagnum, in the north, and one in relatively ‘dry’ bog, with a lot of heather, in the south. The report suggests the main reason for the more consistently higher water table at the northern monitoring point can be associated with the greater number and penetration of flow tracks across the mire, the number of groundwater outflows and a more consistent supply of telluric water (surface water and groundwater). Groundwater geology is always important in sustaining a high water table. Much of the depth of peat at Fen Bog(s) is believed to sit in a hollow which decreases at its southern end. It has been suggested this hollow may have been a glacial or post-glacial lake. However it appears as if the mire developed on a dry surface, that is through paludification, and not by infilling a water body (terrestrialisation). The lower layers of peat cores and sections collected contain the remains of tree species (Birch, Willow and Alder) and other plants (Reeds and Sphagnum) that suggest wet woodland. Then the higher up layers on top contain more plants and silt indicating the formation of swamp and a rise in the water level. This may be a consequence of wetter climatic conditions but also may partly be to do with human activity. There is an increase in non-tree pollen suggesting the removal of trees at the time, and the report postulates that the build-up of water on the site may have been due to it being artificially damned at the southern end. Sphagnum increases in the top level of peat, from c. 1100 AD atleat until the 19th century. The development of a Sphagnum-dominated surface on a reed-monocot swamp requires some isolation of the surface from more base-rich water sources which means the margins with inflow must have remained largely free of Sphagnum and a dome of peat therefore developed in the middle of the bog. Fen Bog(s) can therefore be considered an embryonic raised bog, which has developed upon a protracted phase of reed–monocot peat that, because of the topography of the trough and the occurrence of marginal inflows, has been susceptible to flooding with telluric water until relatively recently. Because the system has developed across a shallow watershed, it can be regarded as an embryonic ‘sattelmoor’ (saddle bog). The report notes that this assessment is based on the centre and eastern margin of Fen Bog(s) – the western margin has been modified too much by the railway development and associated drainage to be useful as evidence. The modification led to a tilt of the mire’s surface towards the west. Weakly base-rich springs and soakways – base rich means a richness of chemical ions i.e. alkaline, a soakway is a narrow track of water flow where little or no water is normally visible. Supports plants such as Bog bean, Broad-leaved cotton grass*, Common butterwort*, and Black bog-rush*, as well as Sphagnum sp. and other bryophytes. Beyond the immediate Fen Bog(s) site there are base-rich springs and weakly base-rich soakways – where soils are acid rather than alkaline so it means the water ends up only weakly or not base-rich at all. Acidic springs and soakways – supports plants such as Common sedge, Yorkshire fog and Marsh violet, as well Sphagnum sp. Ombrotrophic bog – where the main source of water is precipitation. Supports plants such as Common cotton-grass, Cross-leaved heath and Bog myrtle. Minerotrophic Bog – where the main source of water is watercourses and springs. Supports plants such as Purple moor-grass, Common yellow sedge and Carnation sedge. Carex rostrata fen – base-rich mire supporting plants such as Bottle sedge (this is the Carex rostrata), Marsh marigold and Ragged robin. Pools and soakways with Carex limosa – supports plants such as Bog sedge* (this is the Carex limosa), Slender sedge*, and Bog pimpernel. Wet woodland – these remaining woodlands are similar to that which began the formation of peat millions of years ago. Supports plants such as Grey willow, Downy Birch and Creeping buttercup. Reeds and willow scrub – can also be classed as wet woodland. Supports plants such as Narrow buckler fern, Soft rush and Sphagnums. Tall swamp and reedbeds – each at different stages of development with their own characteristics. 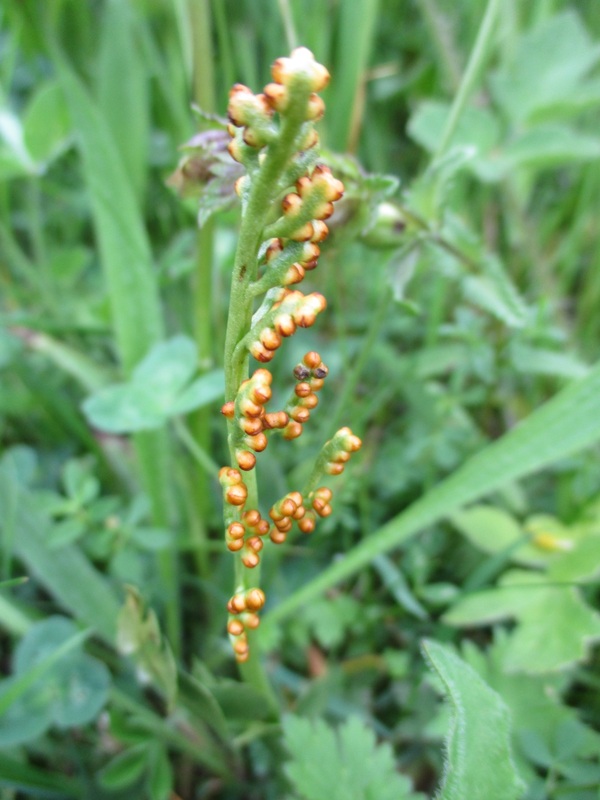 One site which supports bulrush is presumably mineral enriched from the track ballast but this shows no sign of spreading out into adjacent vegetation without the enrichment. Another site, not yet colonised by willow scrub, supports plants such as Marsh pennywort, Water mint and Branched bur-reed. From the assessment the report goes on to outline the main management issues and to suggest restoration opportunities for the Fen Bog(s) site. These include vegetation control through gazing and fencing, monitoring the spread of reeds (Phragmites), clearing parts of the species poor scrub areas, retaining the wet woodland/scrub habitat, blocking and redirecting specific railway ditches, minimising the introduction of new embankment ballast material, and using engineered solutions to tackle subsidence problems. Interested parties will consider the recommendations and decide what is desirable as well as practically possible, in order to maintain this very important bog site that embodies a clash of natural and cultural heritage. Postscript: There is a story that a steam locomotive sank into Fen Bog(s) at some point in the past, and remains there today. But this is just a story. 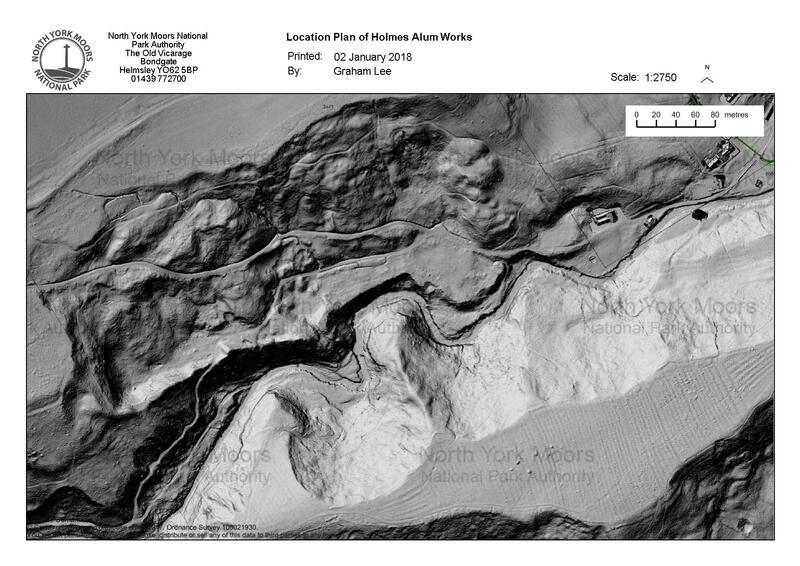 Further to my last blog post, here are some more examples of enthralling LiDAR imagery from the North York Moors. As mentioned previously, the interpretation of features is not necessarily straight-forward since we are not seeing a photograph per se but a series of points joined together by a computer algorithm. A clear resemblance to ‘known’ features is a good start but often there is no substitute for checking the site on the ground where necessary, with the landowner’s permission. This image is from the 2016 This Exploited Land 25cm LiDAR (equating to c.16 data points per square metre). The This Exploited Land of Iron Landscape Parntership Scheme focuses on the 19th century ironstone industry in the North York Moors, one of the major sites for this was around Grosmont. This little four-fingered ‘hand’ near the centre of the image, just c.6.5m wide, is clearly a group of linear spoil tips leading out from a small excavation, perhaps a mining trial in the valley side? The linear runs of spoil, as tipped out of a barrow, are a very typical form associated with mining or quarrying sites. On steeper slopes, these are often tear-drop shaped. 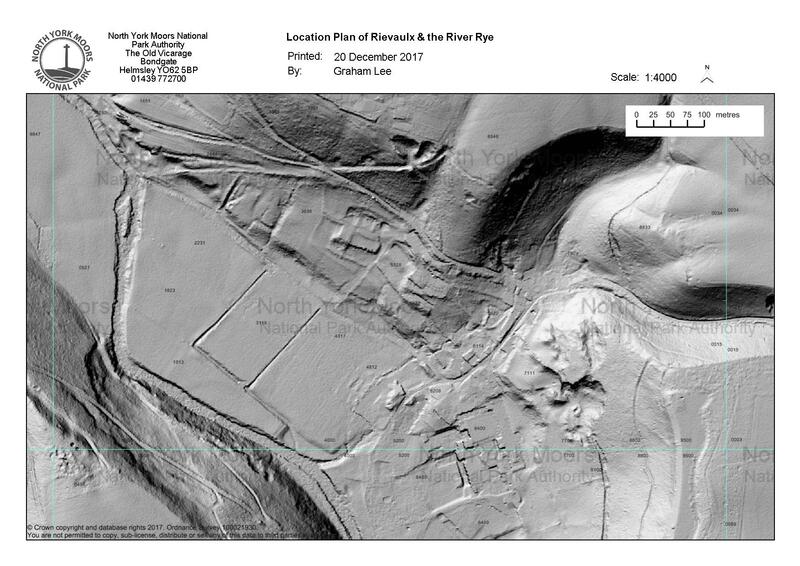 This image from the Environment Agency 50cm LiDAR (equating to c.9 data points per square metre) shows the site of Rievaulx Abbey (Scheduled Monument) near the central bottom of the picture, with all the buildings stripped away to show the underlying and surrounding earthworks. There is a mass of detail to see here. To the north of the Abbey are the houses of the village with a whole series of platforms and enclosures visible on the valley side. Just below these is the line of the “Canal”, a watercourse dug by the monks to bring a supply of water from the River Rye into the Abbey complex. Surrounding the village are numerous hollow-ways (former routeways) and extensive remains of old quarries. The level earthwork platform, running North-South to the bottom right of the picture is the northern half of Rievaulx Terrace. 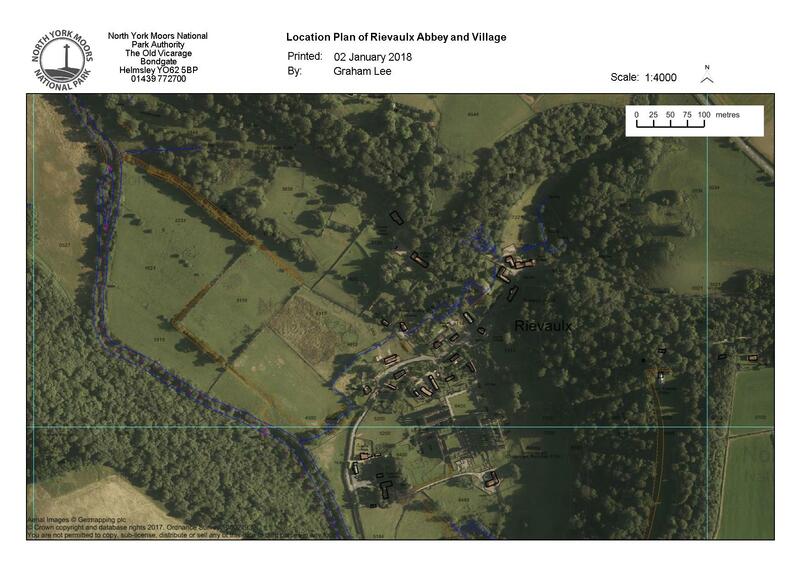 The corresponding aerial photograph from July 2014, with the water courses and major earthworks (mapped by the Ordnance Survey) layers switched on, help to clarify the positions of some of these features, including the line of ponds leading down to what was the Medieval water-mill, now a private dwelling. This is a classic example of the value of LiDAR imagery. The aerial photograph from August 2015 shows trees blanketing virtually all archaeological detail but this is beautifully clear in the 10cm resolution LiDAR image from Spring 2017 (Durham University/North York Moors National Park Authority; equating to c.90 data points per square metre). You can see the three adjoining quarry scoops to the south of Sandsend Beck, with a mass of, presumably associated, earthworks just across the beck to the north-west. This is thought to represent the site of Holmes Alum Quarry which is recorded as operating from about 1680. Works here had ceased by the late 18th century / early 19th century when this area was landscaped as an arboretum for Mulgrave Castle. I am not aware that this site has ever been surveyed in detail on the ground – this imagery provides a very good starting point. Roasted shale is recorded as having been found in the area so the sites of roasting clamps and, possibly, even steeping pits should probably be there to be found. On the plateau to the south of the quarries is an area of Medieval and Post-Medieval Ridge and Furrow (ploughing) cultivation which is clearly visible. These were our top 6 posts during 2017, according to the number of views – in reverse order to make it more exciting. The Turtle Doves are currently in western Africa. Work here is now focused on preparing for a new season of surveying starting in May when these migratory birds return to the UK. There is a meeting for volunteer surveyors in the Howardian Hills AONB area organised for 17 January, and another for volunteer surveyors in the National Park area on 4 April. If you’d be interested in becoming a volunteer surveyor – please contact us. Since stage one approval was achieved back in January 2017, the development of this Landscape Partnership Scheme has continued apace. Anne-Louise and Alex (the Ryevitalise Team) are coordinating as fast as they can, working alongside partner organisations and the wider community. Following on from local community consultation exercises in November, a series of taster events are planned for this spring to enable people to experience the kind of events on offer should Ryevitalise move into it’s delivery phase. One such event will be marking World Fish Migration Day on 21 April. Partners are labouring over the 22 complementary project elements which make up the partnership scheme, around the themes of water quality and environment, reconnecting people and water level management. 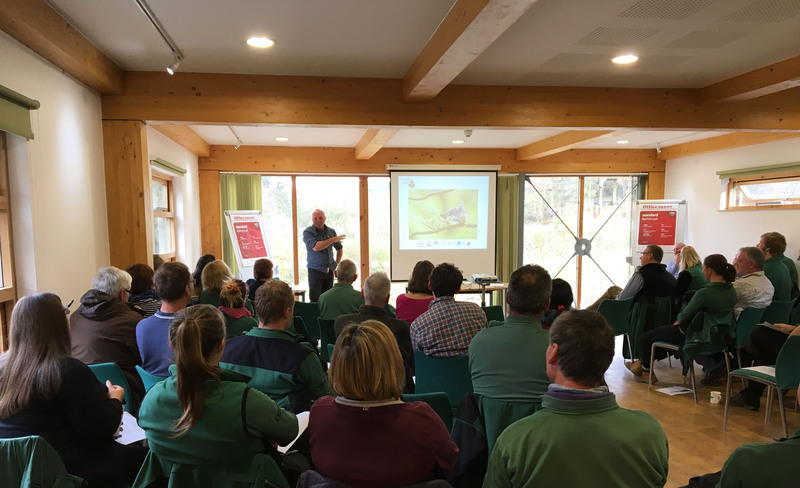 Alex is liaising with local land managers to build up a mutual understanding of how Ryevitalise could help support practices that deliver specific objectives around water quality and habitat improvements. The stage two application currently in development is due to be submitted to the Heritage Lottery Fund at the end of this October. If successful, the four year delivery phase will start in spring 2019. We’re keen to incorporate as many ideas and aspirations as possible. If you want to get involved please complete our online survey form. October 2022 will mark the 700th anniversary of the Battle of Byland. Clear evidence that the battle took place at Roulston Scar remains elusive. Electric fishing is a method used to determine fish populations in watercourses, commonly carried out by organisations such as the Environment Agency and the various River Trusts. 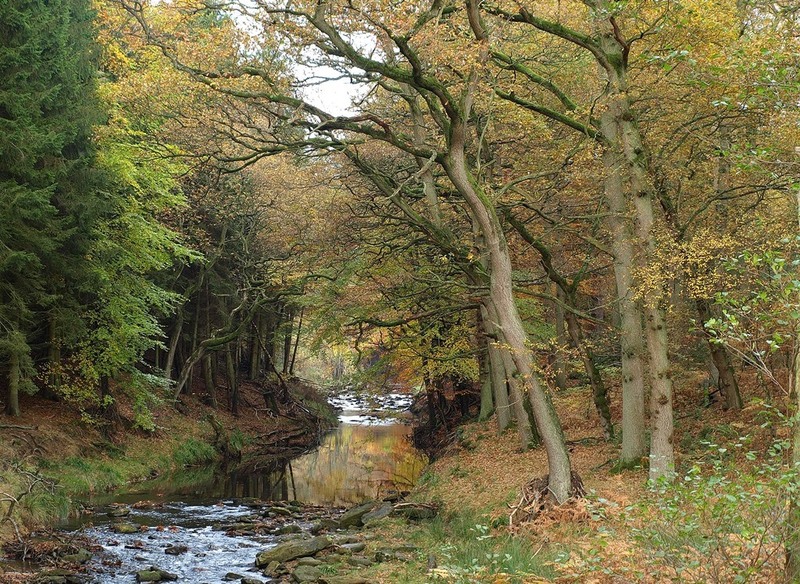 Sites across the River Esk catchment up in the north of the North York Moors have been monitored using this technique over the past 20+ years as a way of estimating juvenile fish populations. In the last five years an increased number of sites have been surveyed along the Esk and we’ve managed to gain a better understanding of fish population changes. This summer we took the chance to learn the technique ourselves. Simon Hirst our River Esk Project Officer, six keen volunteers and I went on a fully certified electric fishing course. Our new specialist team is made up of local anglers and existing River Esk Volunteers, all of whom care about the river and want to safeguard the species that live in it. The two day course was essential to ensure our ‘in house’ monitoring can be carried out safely and to make sure the information we collect is scientifically robust so we can draw conclusions from it. During an electric fishing survey an electrical current is sent through the water which temporarily stuns the fish enabling them to be easily caught in nets. To produce an electrical current one team member wears the backpack which holds a battery and control box. A cathode trails behind the backpack resting in the water and the operator holds a pole with a metal ring on the end (anode). Once the operator places the anode in the water and turns the system on, the electrical circuit is complete and a small current passes through the water. The equipment has multiple safety features to ensure surveys can be carried out safely for all involved – that’s the fish, the operator and all the other team members in the water and on the bankside. Two or three team members follow behind the operator with the nets and buckets ready to quickly remove the stunned fish from the river. Once caught, the stunned fish are transferred into a large holding tank on the bankside. 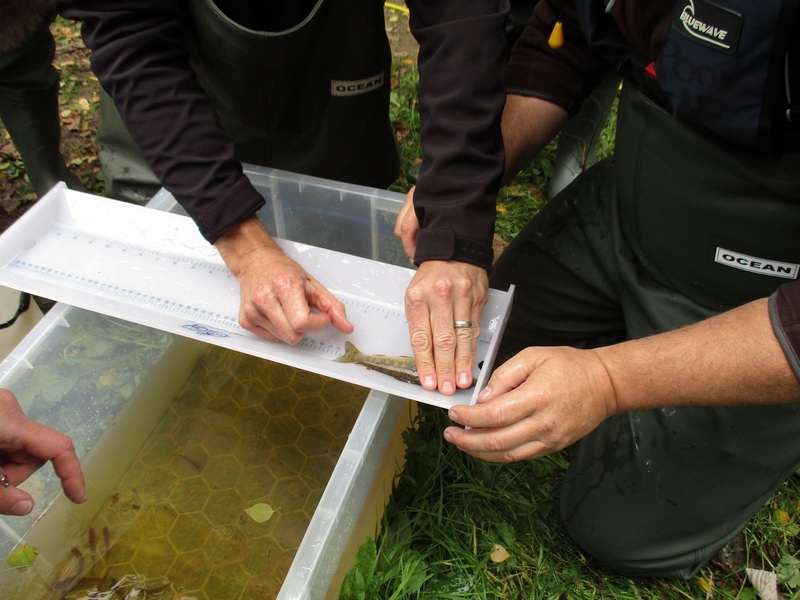 Each fish is measured using a special measuring board – this helps us estimate the relative age of the fish. The size and species is noted down and the fish is then released back into the river as quickly as possible. Sites are identified – usually an approximately 50 metre stretch of river – and the team enters the water at the downstream end and walks upstream fishing as they go until they reach the top of the site. It is useful to fish up to a feature in the river, for example a natural barrier like a riffle, to ensure the greatest percentage of fish can be caught. If the end of the site was situated in the middle of a pool, for example, the fish would be driven beyond the far end and hence not be recorded. Fish welfare (and the welfare of our volunteers and us) is extremely important, there is little point in measuring fish populations to help sustain numbers if we end up with dead fish. When electric fishing is carried out correctly this methodology does not harm the fish. As part of the training we learnt how to set the control box to the correct settings to ensure the electrical current will temporarily stun the fish but will not cause any damage. This is determined by the electrical conductivity of the water – a reading is taken before carrying out the surveys. It is important to temporarily keep the fish in a large holding tank in the shade to ensure there is sufficient oxygen for them and that the water temperature does not increase too much, and we release the fish back to the river as soon as possible. Fish aside, all team members who are in the river must ensure they are fully insulated (e.g. rubber chest waders) and must not put their hands into the water when the backpack is switched on. Prior to undertaking a survey each stretch of watercourse is checked for hazards and a site risk assessment produced. This is to make sure there are no ‘nasty’ surprises (such as deep holes!) when the team enter the water. Electric fishing is a really good way of estimating fish populations and this is extremely important on the River Esk. Atlantic salmon is a species that is struggling due to a wide variety of issues including water quality and habitat issues, barriers to fish migration and poor survival rates at sea. 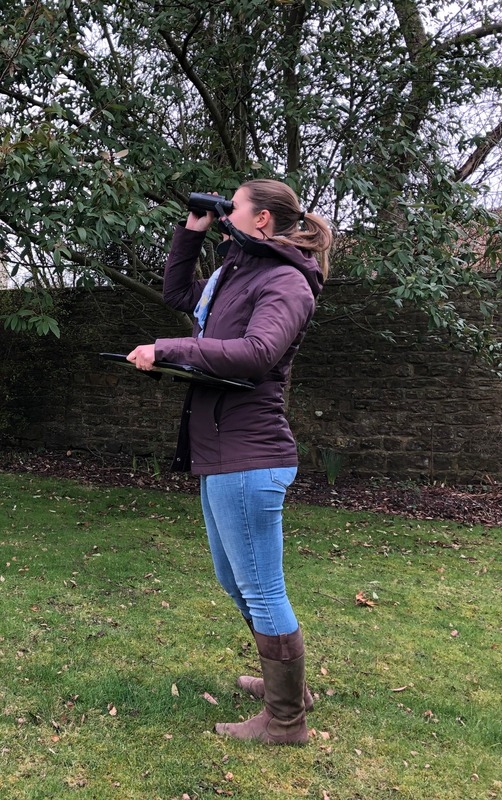 Monitoring juvenile numbers across the Esk every year will help to highlight areas where these issues are magnified and can therefore help target the conservation work we’re undertaking in the catchment to improve water quality and riparian habitats. 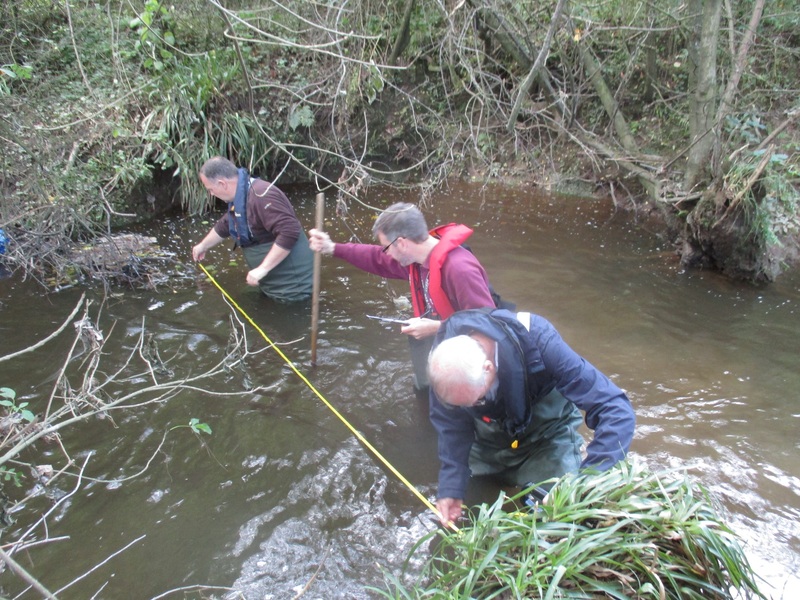 Our electric fishing team were out and about in the catchment in the autumn surveying six specific sites. 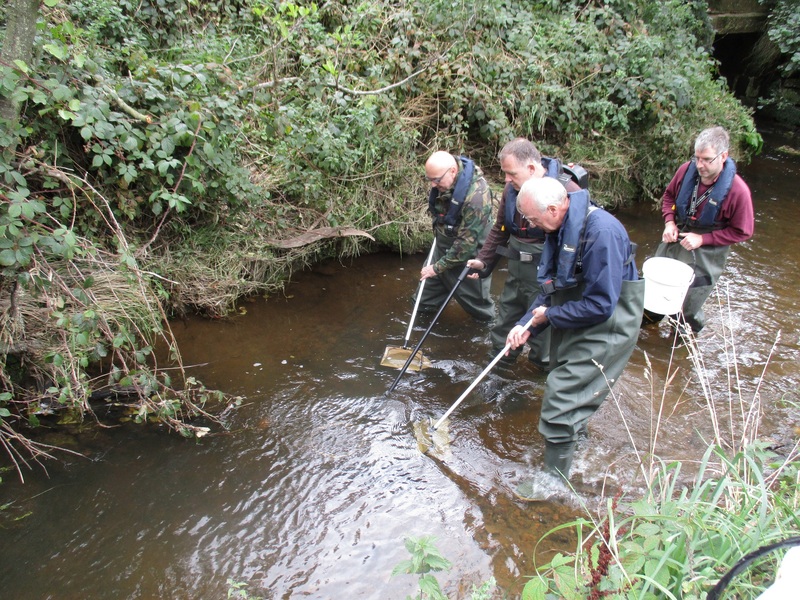 It proved a success – the surveyed fish were released back and all the volunteers survived. Species recorded included Brown trout (Salmo trutta), Atlantic salmon (Salmo salar), Stone loach (Barbatula barbatula), European eel (Anguilla Anguilla), Bullhead (Cottus gobio) and Brook lamprey (Lampetra planeri). Overall our results showed healthy fish populations at each site, although as expected relatively low numbers of Atlantic salmon were found. 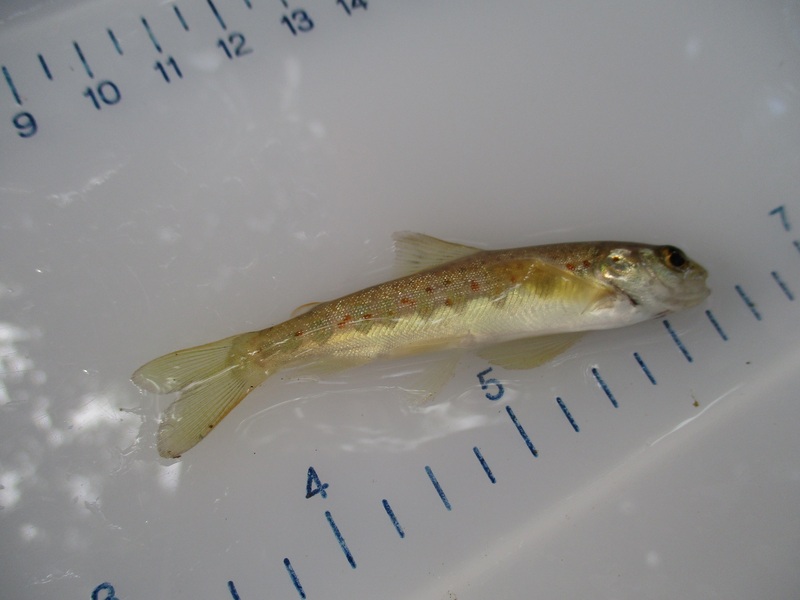 We plan to monitor juvenile fish populations annually in September, to build up our understanding of the local status of the Atlantic salmon and the other species found in the Esk. Our Turtle Doves are now in Africa, but that doesn’t mean our work stops. With the majority of results now in for our two formal survey areas (Cropton and Dalby Forests), along with many additional sightings logged this year, we can now announce our results. In 2017 a total of 244 birds were logged over 78 dates between the first seen on 17 April and the last record of one on 25 September near Pickering. Over both the 2016 and 2017 survey seasons we recorded 24 singing males in Cropton Forest. During our 2017 surveys in Dalby Forest we found 12 singing males. Our largest flock was 13 birds including juveniles recorded on 25 July 2017. These results illustrate how important our area is for these endangered birds. In comparison there were very few sightings in the rest of Yorkshire this year and even fewer to the north of us. We have known for some time our area has been a stronghold for this species due to the committed work of many individual birdwatchers and the local Forest Bird Study Group. However this is the first time Turtle Doves have been surveyed as a single species in the north of England. We would not have been able to achieve these detailed results without the hard work of our volunteer surveyors. I started this project as a volunteer myself, keen to help these beautiful birds and I hoped other people would feel the same. Thankfully a small army have now joined the Turtle Dove brigade! Here’s a quote from George Day, one of our volunteer surveyors this year; “Being part of such an exciting project has been fantastic. It’s been a real treat to spend dawn in the forest with purring Turtle Doves”. Carrying out these surveys can be fun in themselves, but we are often asked what happens to the data collected and is there a direct benefit to Turtle Doves? Within the first six months of this project the data collected by volunteers so far has been used to identify and target the best areas to set up new feeding sites and attempt to improve nesting habitat. I can now visit a farm, explain to the land manager how important their land is for Turtle Doves based on how many birds are nearby. This makes a huge difference to the delivery of the project. We’re working hard to spread the word and plan sites for new and improved habitat to create in 2018. I have a Heritage Lottery Fund target to deliver 40 talks to groups in the three years of the project and I’m pleased to be on course to complete 20 by the end of the first year! It seems a lot of people want to learn about and help these iconic birds. 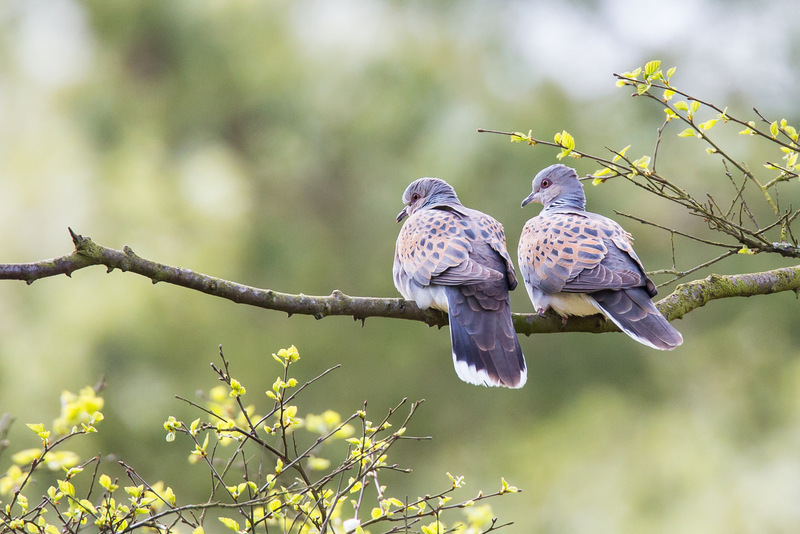 From a small village community in Sawdon to a national Forestry Commission conference the North Yorkshire Turtle Dove roadshow is purring its way around our beautiful county and beyond…. 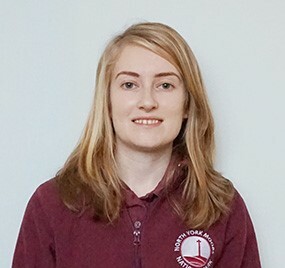 I’m Abi Duffy, and I have recently started as a Conservation Trainee. I graduated from the University of Liverpool with a degree in Geography in July 2016 and since then I have been working towards gaining employment within the conservation sector. I am really interested in developing my knowledge and experience in this two year position with the National Park. 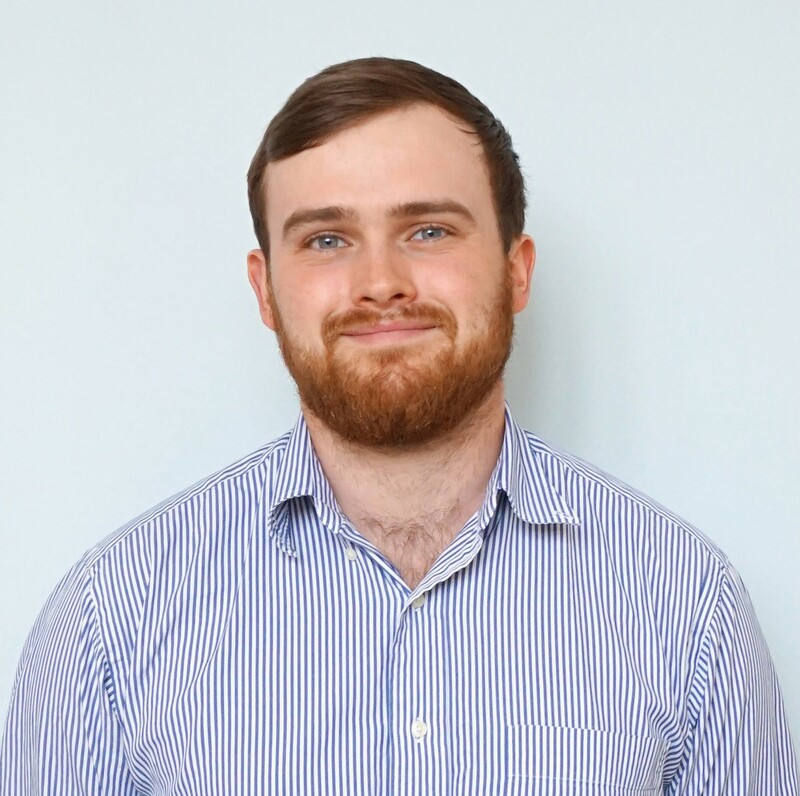 My name is Samuel Newton and I have started in the position of Natural Heritage Trainee with the National Lottery funded This Exploited Land of Iron Landscape Partnership Scheme. I have always been interested in the environment, leading to my graduation from Newcastle University with a degree in Ecology earlier this year. I am keen to use this opportunity to gain as much experience as possible of working in conservation. Our first two months have been both varied and interesting as we’ve been contributing to a wide range of projects. We’ve taken advantage of the end of summer to be out in the field most days surveying. One particularly memorable day was water vole survey training, for which we headed up to Fylingdales. This surveying entails walking a stretch of stream looking for signs of Water vole (Arvicola amphibious). The most obvious signs are droppings, which are ‘tic tac’ shaped and tend to be green, and are used for territory marking. Where droppings are flattened and more have been deposited on top this creates a ‘latrine’. We also looked for piles of nibbled grass, with a 45° cut angle at the end – characteristic of voles, as well as for burrows and footprints. 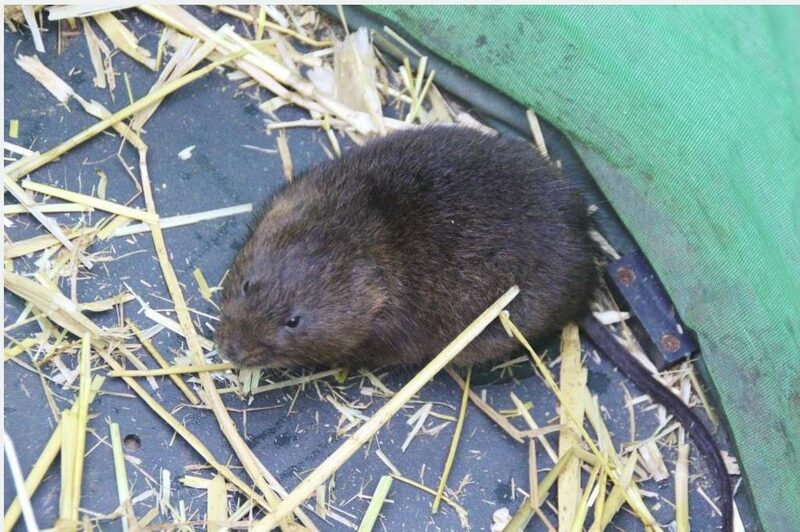 The training links in with our Water vole project which is aiming to secure the few remaining populations of Water vole within the North York Moors. The animals have suffered from habitat loss and also the spread of invasive American mink. I (Sam) have been mapping water vole and mink survey results, mostly collected by our dedicated group of Water vole survey volunteers. These records create a base from which management of habitats and also mink can be carried out. We have been visiting species rich grasslands across the North York Moors, with a range of different underlying ecological conditions. By surveying the plant species and their abundance on these sites we can try and ensure management fits the individuality of each one, and that certain species are not being lost or becoming dominant to the detriment of others. Our Linking Landscapes volunteers also survey grassland within the National Park each summer; many volunteers survey the same site each year which helps identify changes. The volunteers send in their results to us for analysis. Some of the interesting and beautiful flowers we have seen so far include Eyebright (Euphrasia officinalis), Common Spotted Orchid (Dactylorhiza fuchsia), Harebell (Campanula rotundifolia) and Fairy Flax (Linum catharticum). We also joined in with the Conservation Volunteers cutting some of these grassland sites where they’re not grazed and importantly raking off the cuttings to stop the grasslands becoming too nutrient rich. Nan Sykes’ book ‘Wild Flowers of North East Yorkshire’ has proved invaluable in helping improve our botanical ID skills. As part of National Parks Week back in August, I (Abi) got involved with a MoorFest event at our Sutton Bank National Park Centre letting people know about the species rich grassland resource within the North York Moors. We had many families chatting to us about wildflowers and asking us questions about the grassland. 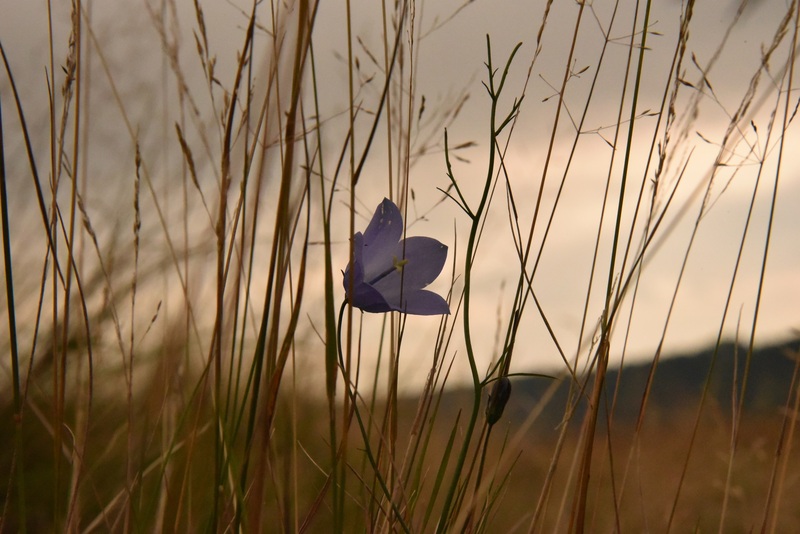 This was a good way to help communicate to the wider public the work that farmers and the National Park do together to conserve and enhance grassland sites. The triangular meadow out of the front of the Sutton Bank National Park Centre is a great example of such grassland. 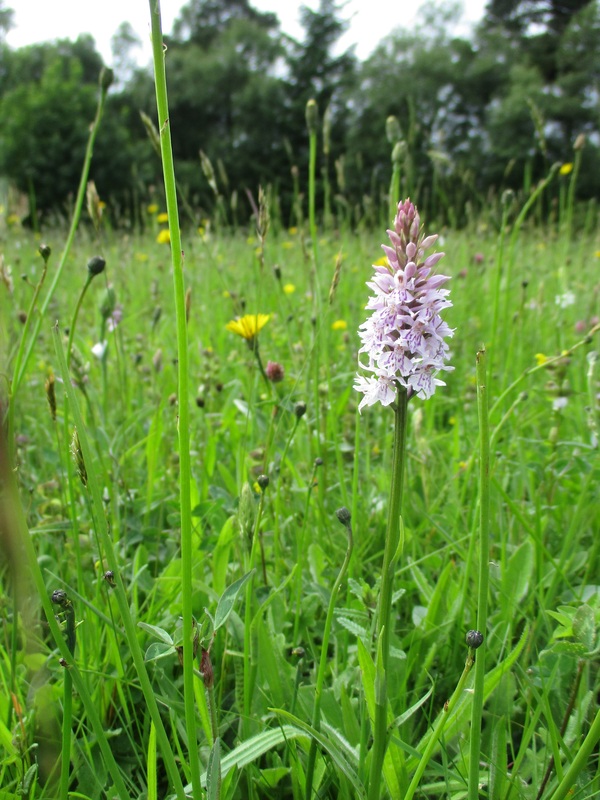 Back in June, before beginning in our roles, we both took part in a Volunteer training day there; we found the rare fern Moonwort and several Common Spotted Orchids among a vast array of species. This site is a good quality species rich grassland in top condition, and with continuing management we hope to keep it that way. In early August we were given the opportunity to follow up on research work done by the previous Research Student at the National Park, Sam Witham. Sam had been investigating the impact of deer browsing in woodland by constructing small exclusion enclosures, in order to establish whether these allowed greater natural regeneration. This is part of the National Park’s long term PAWS restoration project. Non-native conifers had already been removed from this site at West Arnecliff and the continuing research is to help understand how best to assist the regeneration of the Ancient Woodland features and habitat. Something else we have been involved with is the River Esk project – in particular surveying stretches of the river for Japanese knotweed (Fallopia japonica). This destructive invasive has the potential to spread rapidly along the river banks generating sedimentation and damaging the river environment. There has been control work over the last decade but it’s important to keep on top of the plant and where it is coming back it needs to be treated as soon as possible to prevent a new outbreak. So the surveying is important and has become a bit of a right of passage for new members of the Conservation Department. So far we have really enjoyed the first two months in our new roles We are looking forward to going out into the field even more and meeting and working with the land owners and land managers who shape the landscape of the North York Moors. It is great to have the opportunity to understand and contribute to the work the National Park is doing, while learning about working in conservation at the same time. 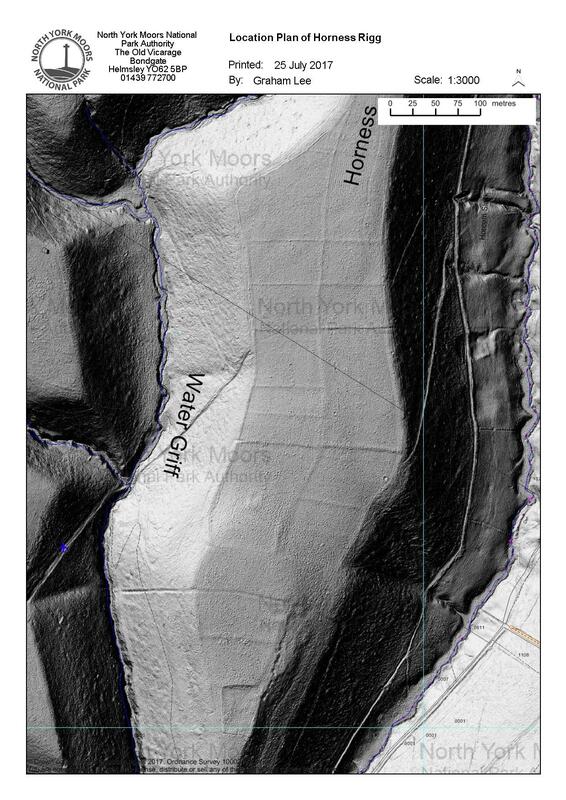 We recently commissioned additional high resolution LiDAR data (Light Detection and Ranging) for several areas of the North York Moors in partnership with Durham University who are currently involved in a long term research project on the coast. The data is collected by scanning the ground with beams of laser light. LiDAR data sees through vegetation and tree canopies which otherwise can obscure the view of the ground level to conventional air photography. For this commission we were particularly interested in areas of heather moorland. Most publically available georeferenced LiDAR data in England comes from the Environment Agency. It is relatively low resolution, with data points collected at 1 metre or 50 centimetre intervals. The collected points enable the ground surface to be accurately mapped – the more points that are collected, the greater amount of detail that is recorded and revealed through 3-D representation. The newly collected data we now have is at 10 centimetre resolution which equates to about 90 data points per square metre. The amount of data means the ground topography can be perceived through relatively dense stands of vegetation, such as gorse. 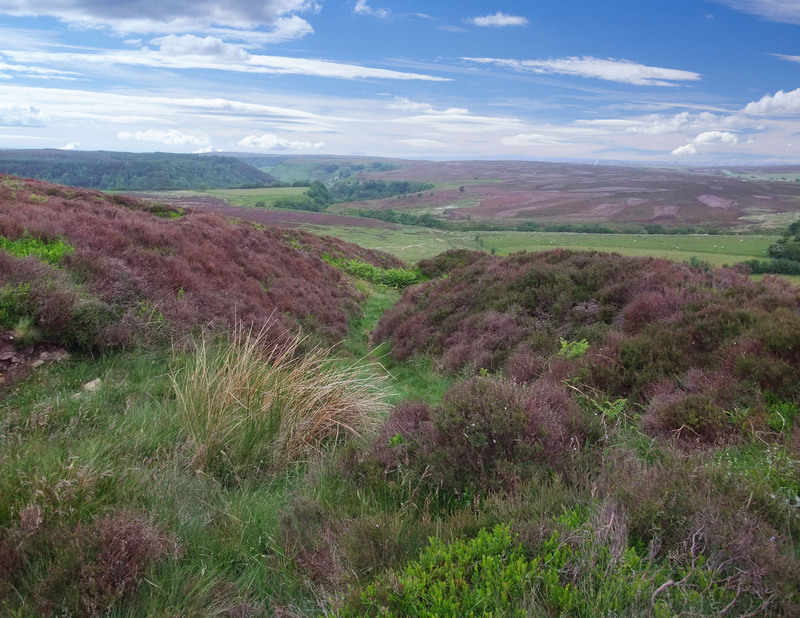 For large expanses of the North York Moors which are covered in thick protective heather the idea is that this new data will help us to artificially see the archaeological earthworks beneath. It was this upland moorland plateau where prehistoric people lived and farmed and buried their dead. 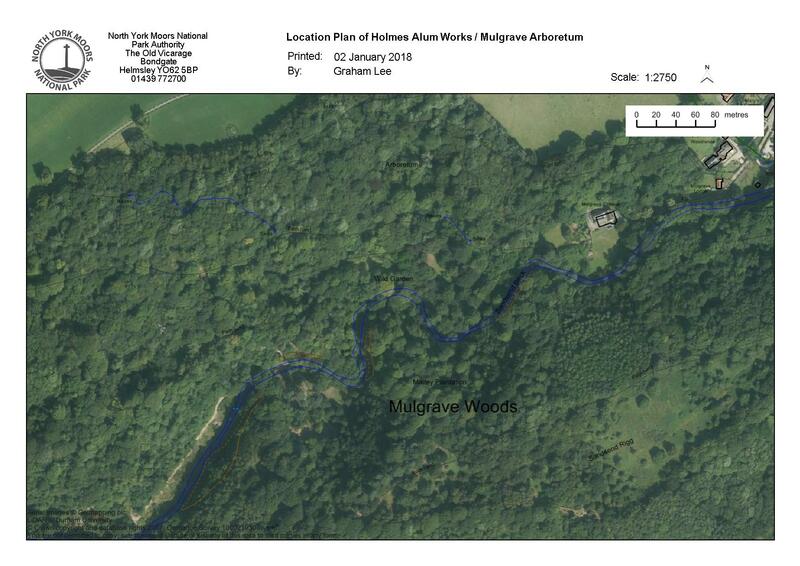 As an archaeologist I am looking for human-made patterns in the landscape which represent different forms of earthworks created by human activity – either upstanding banks or ditches/hollows –which are visible in the data. Once noted, experience with data collected from aerial photographic survey allows these features to be interpreted. The interpretation is not necessarily conclusive – some more complex features will require a ground visit to collect further information before an interpretation can be firmed up. 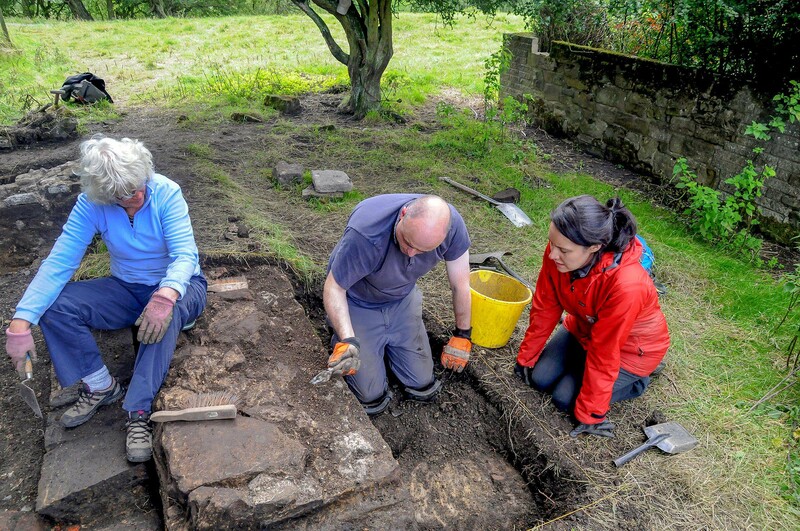 The features identified can then be incorporated within the National Park Authority’s Historic Environment Record (HER) which is the catalogue of our current archaeological knowledge. New and enhanced information which increases our understanding of archaeological landscapes is also very important for the protection and future management of archaeological sites. 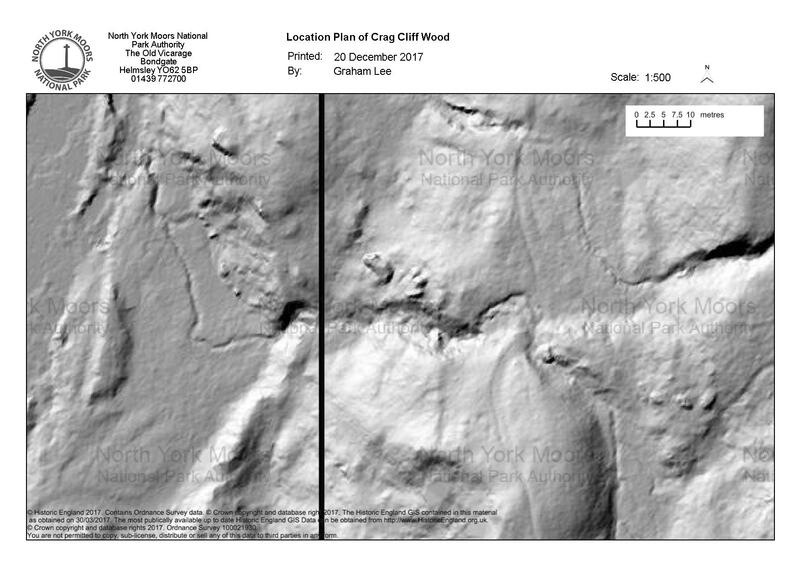 Initial examination of the LiDAR data for Levisham Moor has greatly increased our knowledge of the complexity and extent of the prehistoric and medieval field systems as well as other sites that survive here. This means that individual sites – such as possible prehistoric hut circles, as well as the extent of field system remains – can be precisely located and mapped rather than just using a general area. 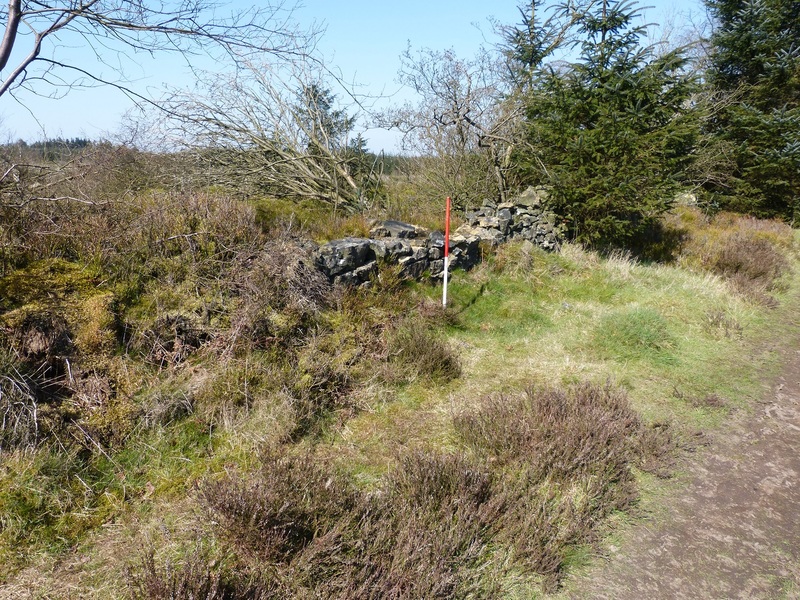 This is a considerable advance in our knowledge which greatly simplifies the locating of sites on the ground within extensive areas of what can seem like featureless heather moorland. 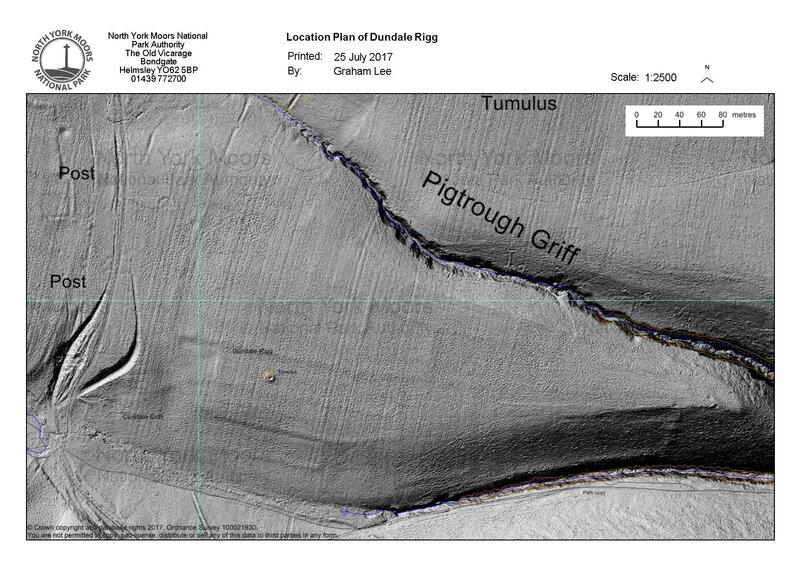 Fig 1: Dundale Rigg, Levisham Moor – The LiDAR imagery shows up the subtle remains of earthwork banks of an earlier (?Prehistoric or ?Medieval) field system overlain by later ridge and furrow cultivation. Also visible is a Bronze Age round barrow (mapped as a tumulus) with a central disturbance from the 1930s and a trial excavation from 1962, and the faint curvilinear traces of what is thought to be a prehistoric hut circle towards the top left of the photo. Fig 2: Horness Rigg, Levisham Moor – Remains of a probable Prehistoric field system. The enclosed platform at the southern end, which sits within rather than being overlain by the fields, has been dated by excavation to the Late Iron Age or Roman periods. 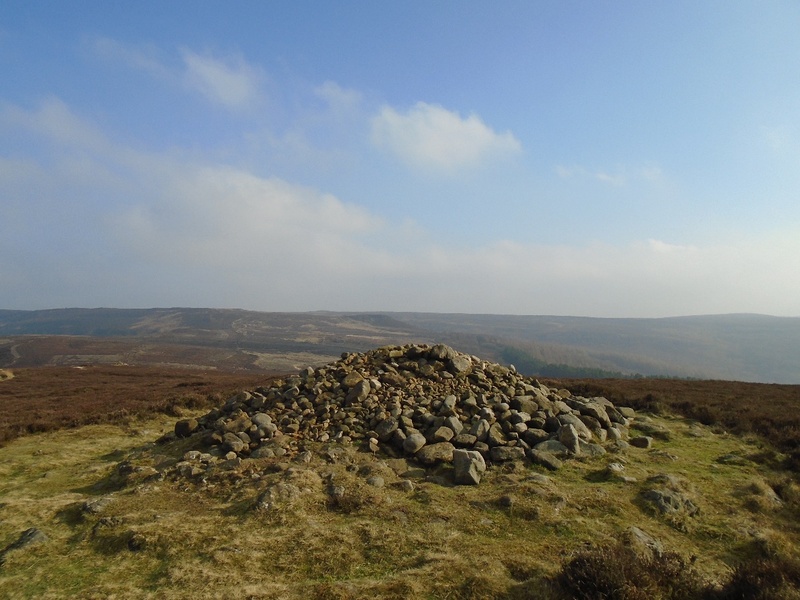 In the future new information supplied by the LiDAR survey will be used to aid and stimulate research into the history and development of Levisham Moor and other areas in the North York Moors, as well as informing management, presentation and interpretation. LiDAR does not remove the need to confirm details on the ground and there is always work to do to look for associated features that may not be visible on the LiDAR, but it is enormously helpful in the quest for increased archaeological knowledge.